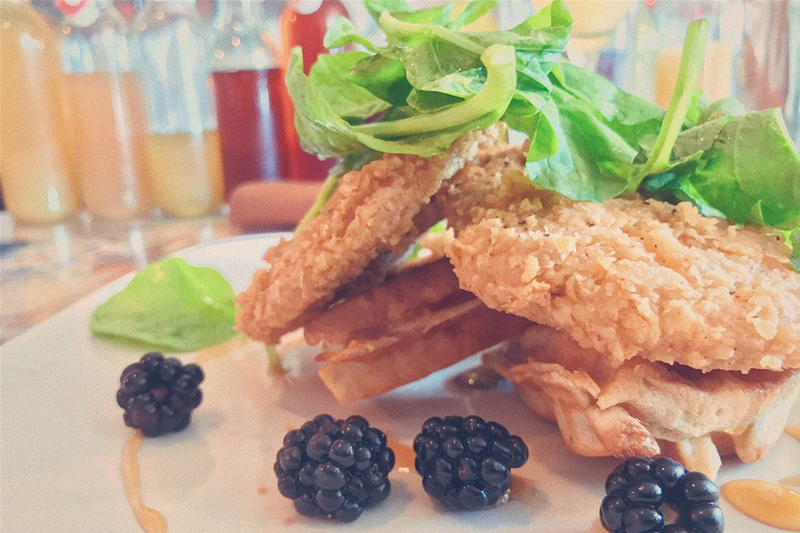 In search of a new favorite gluten-free spot? Hoodline crunched the numbers to find the top gluten-free spots around Raleigh, using both Yelp data and our own secret sauce to produce a ranked list of where to fill the bill. Topping the list is The Fiction Kitchen. 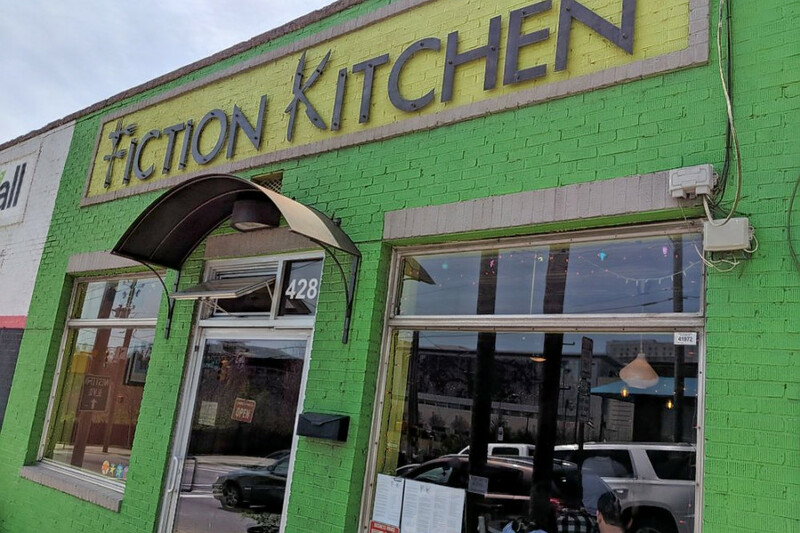 Located at 428 S. Dawson St. in Central, this is the highest-rated restaurant with gluten-free options in Raleigh, boasting 4.5 stars out of 488 reviews on Yelp. Gluten-free menu items include Bread + Spread, a housemade gluten-free cornbread with a dairy or vegan pimento cheese and onion jam. Early birds: check out the vegan, gluten-free and soy-free nutty pancakes served with maple syrup and fruit. The restaurant also offers an array of cocktails, wines, coffee, tea and ciders. 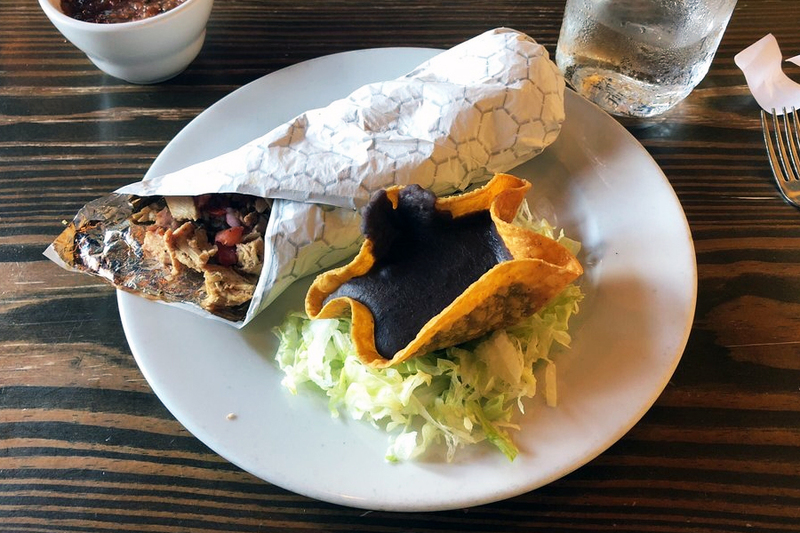 Next up is Central's Centro, situated at 106 S. Wilmington St. With four stars out of 325 reviews on Yelp, the Mexican spot with gluten-free options has proven to be a local favorite. Menu items include the traditional enchiladas, tacos, chips and salsa, guacamole and more. The kitchen is happy to adjust your meal according to your gluten-free needs. Modified meals include vegetarian enchiladas in corn tortillas with no cotija cheese or sour cream. Six Forks' Gusto Farm to Street, located at 3088 Wake Forest Road, is another top choice, with Yelpers giving the gluten-free accommodating restaurant 4.5 stars out of 39 reviews. 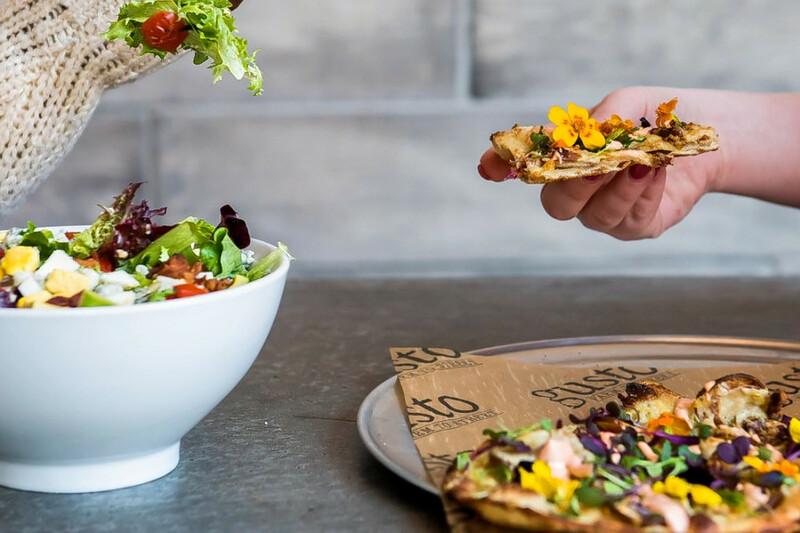 Gusto Farm to Street specializes in fast-fired pizza and fresh-farm salads, and for gluten-free folk it offers cauliflower pizza crust. According to its website, Gusto Farm to Street won Bethesda Magazine's 2017 Editor's Pick for Best New Pizza Option. 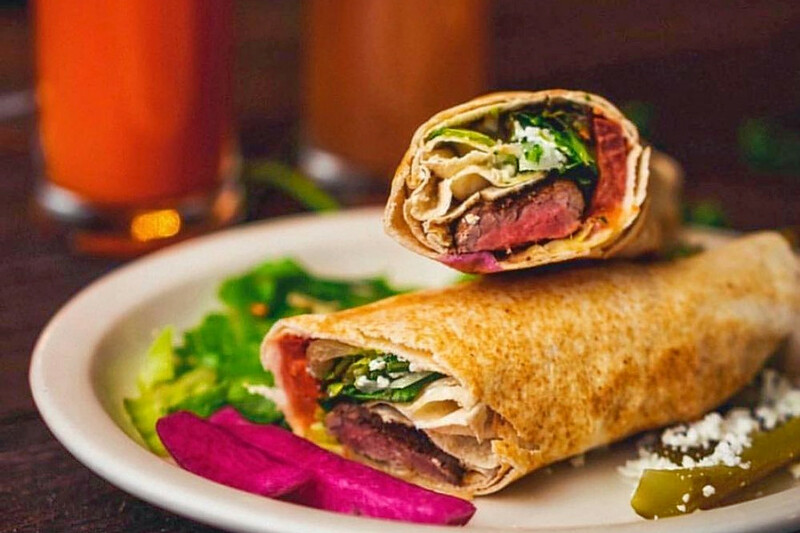 Aladdin's Eatery -- a Lebanese spot in Six Forks with a wide variety of gluten-free and vegan selections -- is another go-to, with four stars out of 42 Yelp reviews. The Ohio-based chain was founded by Lebanese-immigrant Fady Chamoun, and today includes almost 30 locations in four states. Staples of Lebanese diet include olive oil, nuts, vegetables, yogurt, lean meats and spices, like mint, parsley, oregano, garlic, nutmeg and cinnamon. The menu includes more than 40 vegetarian dishes, 30 vegan dishes, 40 gluten-free dishes and 40 antibiotic-free meat and chicken dishes. Gluten-free diners may want to check out the house specialty Jasmine's Favorite: a medley of cooked beans, vegetables and gluten-free rice seasoned with a blend of herbs and spices, and topped with Lebanese salata, chicken mishwi, chicken tawook, beef shawarma, shish kabob, lamb or grilled tuna. Head over to 4209 Lassiter Mill Road, Suite 136, to see for yourself.